The Kansas Jayhawks overcame some sluggish play in the first two rounds of the NCAA Tournament to once again make the Sweet 16 – the fifth time in the last six years the program has made it this far. If the top-seeded Jayhawks want to make a second consecutive Final Four, they will first have to get past the fourth-seeded Michigan Wolverines. Michigan may be young, but the team is loaded with talent. The Wolverines are led by sophomore point guard Trey Burke, who averages nearly 19 points and seven assists per game. Michigan also gets a lot of scoring from Tim Hardaway, Jr., who averages 15 ppg. Michigan relies heavily on shooting threes for their success, with Hardway and Nik Stauskas both shooting over 40% from beyond the arc. Kansas’ offense has been extremely unpredictable this season, but one consistent the Jayhawks have had is an outstanding defense. Anchored by the nation’s best shot-blocker in Jeff Withey and one of the best perimeter defenders in Travis Releford, KU has one of the top-rated defenses in the nation. On offense, the Jayhawks will have to find a way to get Ben McLemore going. The redshirt freshman is predicted by most to be the top pick in the 2013 NBA draft and leads Kansas in scoring; however, he has been a no-show in March so far. McLemore went 0-9 from the field against North Carolina and scored only two points. He has eclipsed the 30 point mark several times this season, and may be due for a breakout game against Michigan’s suspect defense. Tonight’s game will be a true clash of styles, as Michigan has a great offense while Kansas has a great defense. With Withey in the paint, Michigan will likely rely heavily on three point shooting. If the Wolverines aren’t on fire from beyond the arc, and the Jayhawks can counter with some threes of their own, KU could find itself closer to another Final Four. 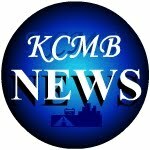 Two Kansas City residents have been charged with the murder of Aaron Markarian, a senior baritone student at the University of Missouri-Kansas City’s Conservatory of Music and Dance. 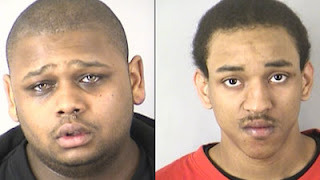 Prosecutors have charged Alonzo D. Ruff, 20, and Anthony J. Williams, 21, of Kansas City with 10 felonies. The pair are charged with second-degree murder, robbery, three counts of assault and five counts of armed criminal action. Williams and Ruff decided to rob the college students’ home located at 4900 Brookside Boulevard after Williams had visited the home earlier in the evening. Williams and Ruff then visited the home, armed with a machete and gun, barging inside when Markarian opened the door. The UMKC student and his friends had gathered for a birthday celebration. After forcing all of the students in the house to sit on a couch, Williams and Ruff stole $400, cellphones and marijuana. After the robbery, Ruff turned and opened fire at the students on the couch. Markarian was fatally wounded during the shooting, while three other victims survived after being hit. One of the survivors recognized Ruff from high school, and believes he opened fire on the group out of fear of being recognized. Williams wore a ski mask during the robbery, however it appears that Ruff did not attempt to conceal his identity. Both were arrested Tuesday evening. Markarian had been set to graduate from UMKC in May with a bachelor’s degree of music in vocal performance. 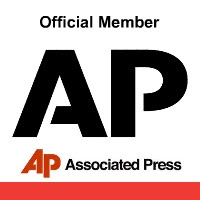 Tony Williams was a graduate of Archbishop O’Hara High School in 2009 and was unemployed. He had met Ruff when the two worked together at a bagel restaurant, and Williams’ family had recently allowed Ruff to move into the family’s home with them. After a tough battle with Bruce Chen, Luis Mendoza has been named the fifth starter in the Kansas City Royals’ starting rotation. Chen will be moved to the bullpen. 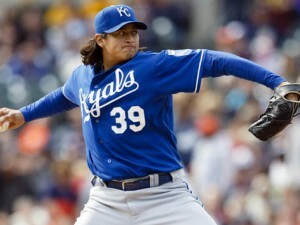 Mendoza had an impressive spring for Kansas City, allowing only one run in 11 innings pitched. Chen struggled in spring ball, giving up 13 runs and 16 hits in 13 and 2/3 innings. Mendoza also had an impressive showing in the World Baseball Classic for his native Mexico. As a result, Mendoza will be joining James Shields, Ervin Santana, Jeremy Guthrie and Wade Davis in the Royals’ starting rotation. Chen could be a valuable asset to what is already a strong bullpen, and the veteran provides Kansas City with some nice insurance should one of the starters get hurt or struggle. Chen has won 35 games over the past three seasons and has been very reliable for the organization. The Royals will have to make several other roster decisions in the near future. 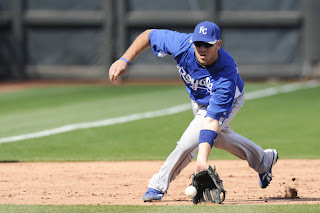 The team must decide between Brett Hayes and George Kottaras in the battle for the backup catcher position, and between Miguel Tejada and Irving Falu for the utility infielder spot. Kansas City will also have to settle on its bullpen, where pitchers such as J.C. Gutierrez, Francisley Bueno, Louis Coleman, Dan Wheeler and Donnie Joseph are all competing. 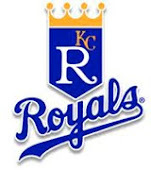 Following an impressive 8-2 victory over the Los Angeles Dodgers, the Kansas City Royals made several more roster moves last night. The team optioned outfielder David Lough to Class AAA Omaha and released infielder Xavier Nady and relief pitcher George Sherrill. The release of Lough comes as a surprise, as the 27-year-old has put together an impressive spring. Lough is 20 for 44 in 24 spring games, and many felt he could be a replacement for the struggling Jeff Francoeur. The team currently plans on having four outfielders on its major league roster: Francoeur, Alex Gordon, Lorenzo Cain and Jarrod Dyson. Many Kansas City fans have voiced their displeasure with Francoeur, who struggled from the plate last season and has had a poor spring. If the veteran gets off to another slow start this season, Lough could be brought up to replace him. Lough also provides some nice insurance should one of the team’s other infielders suffer an injury. The decision to release Nady and Sherrill rather than assigning them to the minor leagues makes both veterans free agents, however Kansas City is expected to attempt to re-sign the pair. Sherill is recovering from Tommy John surgery and has yet to pitch this spring. The Royals are hopeful that he could return to game action sometime in May. Nady has battled a foot injury this spring, and saw limited action in 13 games. The win over the Dodgers gave the Royals a club-record 22nd spring win. Kansas City has been impressive all of spring training, compiling a 22-6-1 record fueled by strong hitting from several young players and impressive pitching from its off-season acquisitions. The team will face the Seattle Mariners at 3:05 p.m. today. Bruce Chen will get the start for Kansas City – his last chance to impress the coaching staff in his battle for the fifth starter spot with Luis Mendoza. Mendoza will be starting for Kansas City on Wednesday. The 2013 NCAA tournament is officially underway, and all three local Kansas City schools found themselves in the field of 68. One team is already out however, as Missouri lost to Colorado State yesterday. Kansas and Kansas State will play today. Colorado State jumped out to an early lead and held Missouri at arm’s length the rest of the way. Kansas native Dorian Green scored 26 points for the Rams, who won their first NCAA tournament game since 1988. 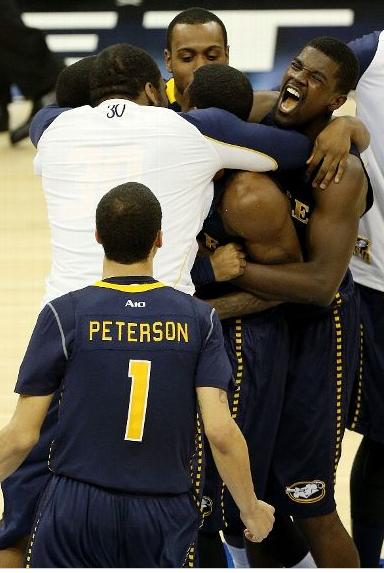 The Tigers were led by Phil Pressey’s 20 points, while Alex Oriakhi added 16 points and Jabari Brown contributed 14. It has been a frustrating last two years for Tiger fans. After a strong regular season last year, Missouri lost as a two seed in the first round of the 2012 NCAA Tournament in one of the biggest tournament upsets of all time. This year, the team played well below expectations. Head coach Frank Haith showed early promise, but Tiger fans have to be disappointed in the team’s consecutive first-round tournament exits and poor 2013 regular season. 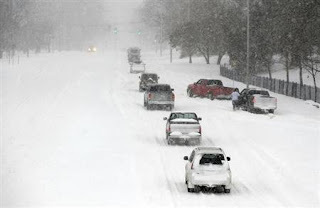 (1)Kansas (16)Western Kentucky – 8:50 p.m.
NCAA tournament fans will recognize the Hilltopers, who have been a regular in the field over the past several years and have sprung a few upsets. WKU won four games in four days to win the Sun Belt tournament title and earn an automatic bid into the tournament. A one seed has never lost to a 16 seed, and the Jayhawks should take care of business if they focus and avoid looking ahead to a possible second round matchup with Roy Williams and North Carolina. KU won the Big 12tournament with ease, and could be primed for another deep tournament run. (4)Kansas State (13)La Salle – 2:10 p.m. The Kansas State Wildcats have avoided being upset all season, and they hope to continue that trend this afternoon. La Salle is a dangerous team, capable of hitting threes or getting to the rim. This is a game K-State should win, but don’t be surprised if the Explorers give the Wildcats all they can handle. If KSU advances, they will play the winner of (5)Wisconsin vs. (12) Ole Miss with a rematch against top seeded Gonzaga possibly waiting for them in the Sweet 16. The Kansas City Chiefs have already had an extremely busy offseason, making bold moves to upgrade its front office, coaching staff and roster. The team hasn’t slowed down yet, making more free agent signings and receiving good news regarding its compensatory draft picks. The special teams unit has been a priority for the new coaching staff, as the Chiefs added coordinator Dave Toub and made punter Dustin Colquitt the highest paid punter in football. Kansas City decided to resign the man who has been snapping Colquitt the ball, inking Thomas Gafford to a new contract. Gafford has been with the team since 2008, snapping on punts, field goals and extra points. 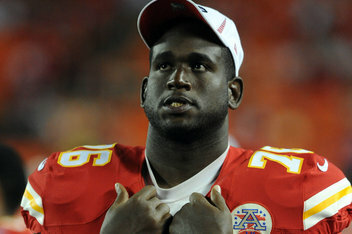 The team also received good news regarding left tackle Branden Albert. Albert has told the team he plans on signing the Chiefs one-year offer worth $9.83 million. Albert was not happy about having the franchise tag placed on him, and has been vocal about both receiving a long-term deal and staying at left tackle. It is unclear if the team plans to keep Albert, given that the team has been linked to drafting an offensive lineman with its top overall pick in the 2013 NFL draft. For now, Albert is in Kansas City’s immediate plans. The team will enter the draft with two extra picks as well, earning a third and sixth round selection when the NFL announced its compensatory picks yesterday. The extra third-round pick is especially good news considering Kansas City lost a second round pick in its trade to acquire quarterback Alex Smith. The Chiefs now have a total of eight draft picks in the upcoming draft. The Big 12 tournament is officially underway at the Sprint Center in Kansas City. The quarterfinal round took place yesterday, featuring some close finishes and plenty of controversy. The biggest blowout of the day came from the biggest mismatch of the day. Kansas shot a Big 12 record 66 percent from the field, torching Tech for 57 second half points. Ben McLemore scored 24 points for the Jayhawks, while Dejan Kravic led the Red Raiders with 20 points. This will be the final game of the season for Texas Tech, which will need to make a decision this offseason on whether or not to retain interim coach Chris Walker, who replaced Billy Gillispie when he resigned due to health reasons. This game had plenty of intrigue as both Oklahoma and Iowa State are fighting for an NCAA tournament berth. The Sooners built an eight point halftime lead and led for most of the game, only to watch the Cyclones go on a 12-point run in the second half to come back. Iowa State got a monster game from Melvin Ejim, who had 23 points and 12 rebounds. Both OU and ISU should make the NCAA tournament, as the Cyclones picked up another impressive win and the Sooners have a strong body-of-work from both their non-conference schedule and fourth place finish in the league. Kansas State star Rodney McGruder had a huge game for the Wildcats, scoring 24 points and adding seven rebounds. The Wildcats held the Longhorns at arm’s length throughout the game and limited Myck Kabongo to only two points. Texas, which finished the year with a 16-17 record, will miss the NCAA tournament for the first time in 15 years. This was the game of the day. The Cowboys took control early and held a 42-24 halftime lead, only to watch Baylor mount a furious rally in the second half. Baylor’s Gary Franklin was able to convert a four-point play late to tie the game up. On the next possession, OSU’s Phil Forte got the ball in lane and was fouled by BU’s Deuce Bello on what appeared to be a clean block. Forte made both free throws, but Baylor still had a final shot. Pierre Jackson – who had 31 points – got a decent look from three, but his attempt hit the back iron. The loss puts Baylor’s NCAA tournament chances in serious jeopardy. The semi-finals of the tournament will take place today. Kansas faces Iowa State at 6:30 p.m. and Kansas State faces Oklahoma State at 9:00 p.m.
Just minutes ago the Kansas City Chiefs signed cornerback Sean Smith to a 3 year deal for $18 million, with $11 million guaranteed. 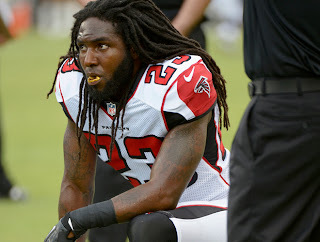 Smith was highly sought after in the free agent market even though he only has 5 TOTAL interceptions in his ENTIRE career. 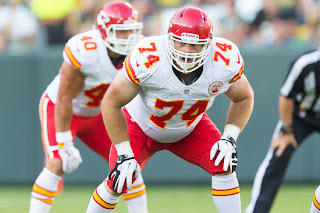 The Kansas City Chiefs have shown once again today that they are going to be very aggressive in the acquisition of free agents, as they are most likely going to look for an offensive lineman in the 2013 NFL Draft. Sean Smith played cornerback for The University of Utah and was drafted in 2009 by the Miami Dolphins where he had an average career. He had an excellent performance in the 2009 Sugar Bowl vs the Alabama Crimson Tide where he made 6 tackles, 1 sack, 1 forced fumble and a game changing knock down which may have influenced his position in the draft. Sean Smith elected to skip his senior year in college to enter the 2009 NFL Draft where he was selected late in the second round by Miami. This move could have possibly been a reaction to the free agency movement of the Denver Broncos, who signed an amazing deal with star wide receiver and the last great white hope at his position Wes Welker this week. With Peyton Manning throwing the ball to Wes Welker, every team in the AFC West had better stock up at the cornerback and safety positions. NFL experts have been impressed with The Kansas City Chiefs free agency moves thus far, and most say that the Chiefs got Sean Smith for a great price, one that was much lower than he was hoping for at the beginning of free agency. Sean Smith is a large cornerback who could develop into an elite player. He is almost a sure start opposite cornerback Brandon Flowers. Smith can also play wide receiver and return kickoffs. sean smith signed by chiefs to 3 year deal cornerback - KCMB Kansas City News, official kc news site with breaking stories on The Kansas City Royals, Chiefs, charity events, the 2012 MLB All Star Game, weather, sports, MU, KU, ufo sightings, dui checkpoints, Kansas City neighborhoods, nightlife, concerts, the Sprint Center, the Power and Light District and current Kansas City news articles. Despite being a former top overall draft pick, Luke Hochevar has struggled with consistency as a starter his entire career in Kansas City. Now it appears that the right-hander’s days as a starter with the Royals are over, as Kansas City announced that Hochevar will be moved to the bullpen. Hochevar had been competing with Bruce Chen and Luis Mendoza for the final spot in the starting rotation along with James Shields, Jeremy Guthrie, Ervin Santana and Wade Davis. Now the battle is between Chen and Mendoza. Chen has been steady for the Royals, and has the most wins of any pitcher with the organization over the past three years. Despite Chen’s consistency, Mendoza has to be the favorite. After a rocky start to last season, Mendoza has pitched very well and could be due for a big season. Hochevar has baffled Kansas City fans with his inconsistency – at times he looks like a dominant starter, other times he looks like he doesn’t belong in the major leagues. Unfortunately, the bad has outweighed the good in his career, and the former top pick has a 5.39 ERA and a 38-59 record in 132 career starts. While Mendoza and Chen are the front-runners to win the fifth starter’s spot, Will Smith has emerged as a dark horse candidate. Smith has a 1.29 ERA so far this spring and could be a potential starter down the road for Kansas City. The emergence of Smith may lead to Kansas City considering trading Hochevar, as Kansas City already has a loaded bullpen. Greg Holland’s job as the closer and Kelvin Herrera’s position as his setup man are locks, and the Royals also have Aaron Crow, Tim Collins, Nate Adcock and Louis Coleman as relief pitchers. The loser of the Chen and Mendoza battle could also be used in relief, and it appears there isn’t much room for Hochevar. Don’t be surprised if the Royals try to shop Hochevar over the next couple of weeks. luke hochevar trade moved to bullpen - KCMB Kansas City News, official kc news site with breaking stories on The Kansas City Royals, Chiefs, charity events, the 2012 MLB All Star Game, weather, sports, MU, KU, ufo sightings, dui checkpoints, Kansas City neighborhoods, nightlife, concerts, the Sprint Center, the Power and Light District and current Kansas City news articles. Donnie Avery, wide receiver, was signed by The Kansas City Chiefs today. 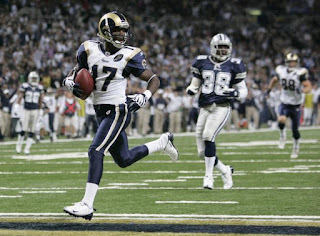 Avery was drafted by The St. Louis Rams in the 2008 NFL Draft as the 33rd overall pick. Donnie Avery was a wide receiver for the University of Houston until joining the NFL where he enjoyed two good seasons as a Ram, catching 100 balls for 1263 yards and 8 touchdowns. Avery was sidelined in 2010 with an ACL injury and then dealt to the Titans where he was healthy enough to play in 8 games. The next chapter in the Donnie Avery story proved to be a great one as he was a stand out receiver opposite Reggie Wayne hauling in 60 receptions for 781 yards and 3 scores. With the Chiefs, Avery will be competing for the number 2 slot with Jonathan Baldwin, Kansas City's 1st round pick from 2011 who has yet to shine on the field. wide receiver donnie avery signs with the kansas city chiefs by KCMB Kansas City News, official kc news site with breaking stories on The Kansas City Royals, Chiefs, charity events, the 2012 MLB All Star Game, weather, sports, MU, KU, ufo sightings, dui checkpoints, Kansas City neighborhoods, nightlife, concerts, the Sprint Center, the Power and Light District and current Kansas City news articles. No NFL team has been more aggressive in free agency than the Kansas City Chiefs. After making a big trade to land quarterback Alex Smith, the team has kept an aggressive mindset heading into free agency. Kansas City kept things rolling yesterday, signing tight end Anthony Fasano, defensive end Mike DeVito and quarterback Chase Daniel. Fasano, a former second-round draft pick from Notre Dame, has been productive in the NFL. Over the past five seasons with the Miami Dolphins, Fasano has averaged 35 catches and four touchdowns per season. After releasing Kevin Boss last month, the only proven tight end on Kansas City’s roster was Tony Moeaki, who has had some injury issues throughout his career. Fasano should provide some nice depth at the position, and the Chiefs are now set at tight end. 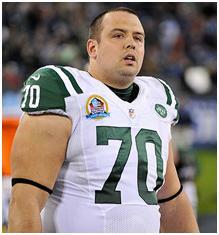 DeVito has spent the past six seasons with the New York Jets, where he played under new Chiefs defensive coordinator Bob Sutton. The former undrafted free agent has been a starter for the Jets over the past three seasons, and is known for his versatility. The signing of DeVito may be a sign that the Chiefs will be letting go of Glenn Dorsey. Dorsey and the team could not come to terms on a new contract, and the former first round pick has become an unrestricted free agent. Dorsey has already planned a visit to the San Francisco 49ers, and it appears that his days as a Chief are numbered. Former Missouri star Chase Daniel was the final free agent acquisition of the day. Daniel has spent his entire NFL career backing up Drew Brees in New Orleans and will provide some nice depth to the quarterback position behind Alex Smith. The signing of Daniel may mean that the team is not considering drafting a quarterback at any point in this year’s draft, and that the team will be resigning quarterback Brady Quinn. The NFL free agent signing period has opened, and the Kansas City Chiefs will be looking to fill several holes on its roster. The team has already been busy this offseason, acquiring new players while releasing several veterans. The Chiefs have made two big acquisitions already this offseason – trading two draft picks for 49ers quarterback Alex Smith and signing defensive back Dunta Robinson. Smith should be an instant upgrade at quarterback, while Robinson will bring experience to a defensive backfield that struggled last season. 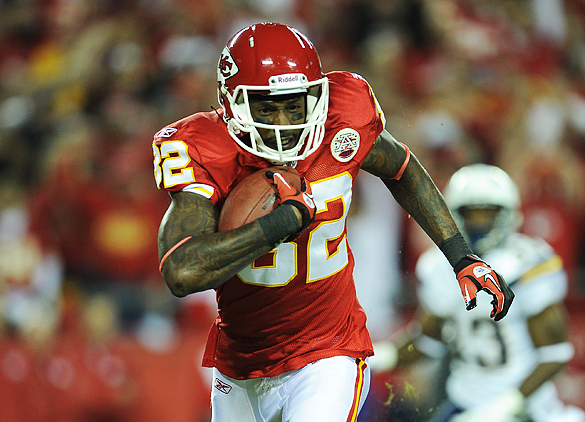 The team also resigned wide receiver Dwayne Bowe, tackle Branden Albert and punter Dustin Colquitt. To clear up cap space for these signings, the team released tackle Eric Winston, tight end Kevin Boss and wide receiver Steve Breaston. Kansas City has already done a good job of addressing some glaring needs, but the team still has several holes to fill. The Chiefs could use some help at wide receiver, especially after letting Breaston go. Former first-round pick Jonathan Baldwin has been a bust so far in the NFL, and the team will need to find another target to pair with Bowe for Smith to throw to. Losing Boss makes the tight end position thin as well, and the team could use some insurance behind Tony Moeaki, who has struggled with injuries in his career. Defensively, the Chiefs could use more depth in the secondary and will have to find a capable starting inside linebacker next to Pro Bowler Derrick Johnson. Despite spending several early draft picks on defensive lineman over the past several years, the team could also still use an upgrade there. New general manager John Dorsey could have a lot of flexibility in how he will build the Chiefs’ roster, as the team has several unrestricted free agents. Dorsey will need to figure out which players to bring back first, and then start finding free agents that can address some glaring needs on the roster, particularly at wide receiver, tight end and linebacker. Just days after placing the franchise tag on left tackle Branden Albert, the Chiefs have released right tackle Eric Winston. The release may signal that the team is heavily leaning towards drafting a tackle with their first overall pick in the 2013 NFL draft. Winston had signed a four-year, $22 million contract with Kansas City a year ago, and this move saves the Chiefs $5.5 million in cash and $3.5 million in cap space. Winston, who was originally selected by the Houston Texans in the third round of the 2006 NFL draft, became one of the better right tackles in the league before the Chiefs made a move for him in last year’s free agency period. Winston had a decent season for Kansas City, but the Chiefs are looking to get younger, and Winston may not be a strong fit for new head coach Andy Reid’s man-on-man blocking system after spending his career in a zone scheme. Winston became famous in Kansas City for criticizing Chiefs fans for cheering when quarterback Matt Cassel got injured in a game last season. Winston told the media he understood Kansas City’s decision, and was appreciative that they released him quickly so he could catch on with another team. In response to his release, Winston called the move “philosophical” and also suggested that the team will likely draft an offensive lineman with its top overall pick. Most draft experts believe that Texas A&M’s Luke Joeckel or Central Michigan’s Eric Fisher could be likely targets for Kansas City. One issue the Chiefs may face if they draft Joeckel or Fisher is dealing with Albert, who has made it clear he does not want to move to the right side of the line. The team could try to trade Albert to a team that is desperate for a good left tackle, or convince him to move to right tackle or guard. The Chiefs also could keep Albert at left tackle and use Joeckel or Fisher on the right side of the line. 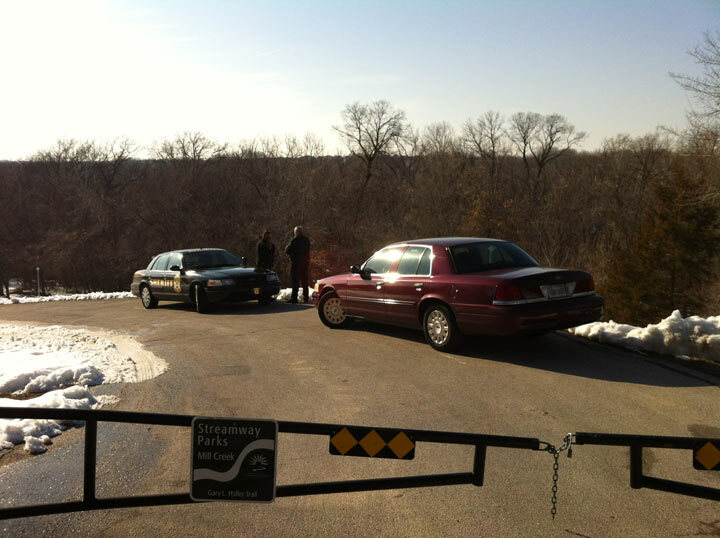 It turns out that the two women found dead on the trail near Shawnee Park were twins. Police are now ruling this incident as a double suicide and not a murder suicide. The cause for the twins double suicide is not known but it is suspected that financial problems may have been a factor. The names of the twins have not been released. Two women were found dead along a rural trail in a Johnson Country park yesterday. The women, who were in their 50s, appeared to have died from multiple gunshot wounds to the head. The names of the deceased have not yet been released. The women were discovered by a passerby in a wooded area in Gary Halley Streamway Park, located near Shawnee Mission Parkway and Barker Road. Police got the call which reported the discovery of the two dead bodies around 3:07 p.m. yesterday; however it is unknown how long the bodies had been there. A gun has been recovered from the scene, as well as a white Chrysler PT Cruiser, which authorities believe is connected to the victims. Neighbors in the area reportedly heard a quick succession of shots, indicating that several bullets were fired. Johnson County police have not classified the case yet, but are considering that the deaths could be the result of a murder-suicide. Due to the possibility of a murder-suicide, police are currently not looking for any suspects, but are interviewing residents close to the area where the bodies were discovered. Police have also not released any additional information about the two victims, awaiting autopsy results. More information will likely be released today on the victims and any possibly motives. Twins women double suicide Shawnee Park KCMB Kansas City News, official kc news site with breaking stories on The Kansas City Royals, Chiefs, charity events, the 2012 MLB All Star Game, weather, sports, MU, KU, ufo sightings, dui checkpoints, Kansas City neighborhoods, nightlife, concerts, the Sprint Center, the Power and Light District and current Kansas City news articles. The Royals’ preseason has gotten off to a great start, as the team is the only club in baseball to still be undefeated in exhibition play. Kansas City’s offense has been hot all spring, and that continued yesterday in an 8-2 win over the Oakland Athletics. Royals fans have to be encouraged from how well the team has hit so far in spring ball. Third baseman Mike Moustakas currently has a .545 batting average, while first baseman Eric Hosmer is hitting .391. Kansas City needs both Moustakas and Hosmer to take the next step this season if the team is going to compete for the postseason, and both are producing so far. Alex Gordon may also be in-line for another good season, as he has hit .471 through exhibition play. A battle for the fifth starter spot is still taking place between Luke Hochevar and Bruce Chen, and it appears that the Royals are now considering trading the pitcher that doesn’t make the starting rotation (as long as the team’s other starters remain healthy). Both Chen and Hochevar will earn $4.5 million this season, and with the Royals’ payroll at a franchise-record $79 million at the moment, it would make sense to trade whichever pitcher will not be starting. Several scouts were in attendance for the team’s victory over the A’s to watch both Chen and Hochevar pitch. Chen allowed one run on two hits with zero walks, while Hochevar pitched three scoreless innings with three hits and one walk. Chen has led the team in victories over the past three years, but many feel that Hochevar is the current favorite to win the rotation spot. Kansas City’s undefeated record in spring ball will be put to the test this afternoon, when the team plays the Arizona Diamondbacks. The game will begin at 1:10 p.m. 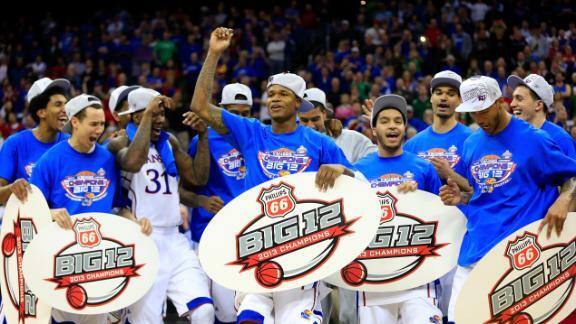 The Kansas Jayhawks are now two wins shy of a ninth consecutive Big 12 title. 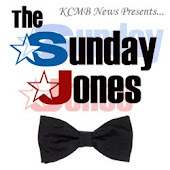 On Saturday, KU overcame a slow start and routed West Virginia 91-65. Kansas was led by Ben McLemore, who broke out of his recent slump in a big way. The redshirt freshman scored a Kansas freshman record 36 points against the Mountaineers, shooting 12 of 15 from the floor, including five of six from three. Jeff Withey also had a big game for KU, as the senior center nearly notched his second triple double of the season. Withey ended up with 14 points, 10 rebounds and nine blocks, and Elijah Johnson added 12 points and 10 assists for Kansas. After a rare three game losing streak, Kansas has picked up two tough road wins and blown out every team it has faced at home. A lot of that has to do with Johnson, who has found his shooting stroke and has limited turnovers. If Johnson has another hot March, the Jayhawks could be primed for another deep run in the NCAA tournament. The Jayhawks could be primed for another big performance tonight, as they host Texas Tech on senior night. Kansas fans will be seeing Johnson, Withey, Kevin Young and Travis Releford for the final time in Allen Fieldhouse, and this is likely McLemore’s last home game as a Jayhawk as well. The Red Raiders won their last game - beating TCU on Saturday – yet it was only Tech’s third league win this season. TTU has been blown out by nearly every decent team it has faced recently, and it doesn’t appear that they can pose much of a threat to Kansas – especially in Lawrence on senior night. If the Jayhawks can get past the Red Raiders tonight, they will play at Baylor with the Big 12 title on the line on Saturday. 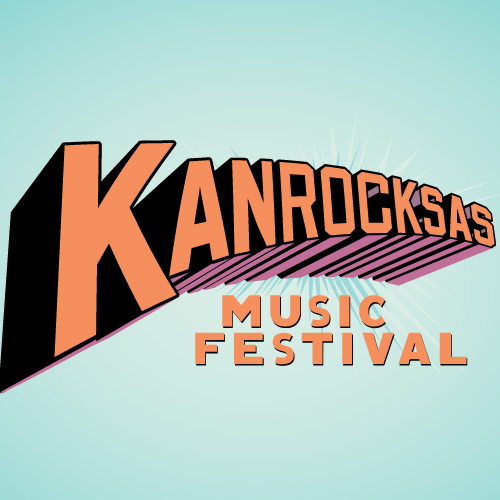 The 2013 Kanrocksas Music Festival recently announced its lineup for its two-day bill. Fun, the Yeah Yeah Yeahs, Passion Pit, Tiësto, MGMT and Kendrick Lamar are several artists who will be highlighting the event. Kansas City residents will also have an opportunity to see several other well-known acts, such as the Descendents and the Dropkick Murphys. Baauer, the artist who produced the chart-topping “Harlem Shake” that has become a viral sensation, will also be appearing. The festival will take place from June 28 – June 29 at the Kansas Speedway. The event started in 2011, when it was headlined by Muse and Eminem, but did not take place last year due to construction being done on the Speedway. Tickets are starting at $175 and can be purchased at Kanrocksas.com.